EP Release show on 31st March! 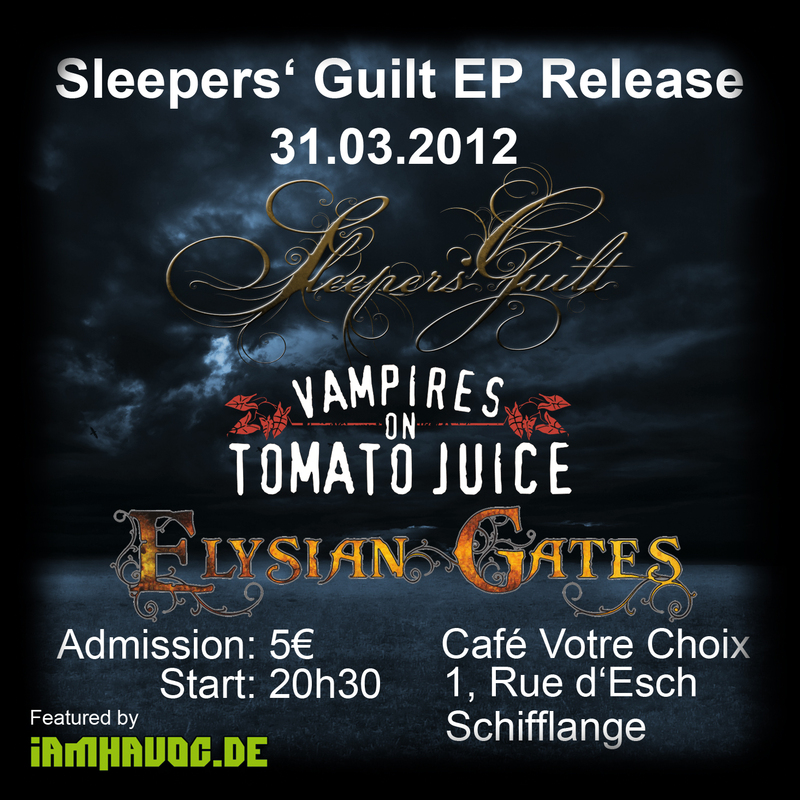 We gonna release our first EP on 31st March at Café Dancing Votre Choix in Schifflange, Luxembourg. Find more information right here and on our flyer! This entry was posted on 16. February 2012 by Sleepers' Guilt. It was filed under Music, Recording, Release, Shows .